What makes a place stand out as an excursion destination? If you should ask the students, no doubt fun and freedom from the classroom are top priorities. For parents, safety and memorable experiences are often tantamount. Administrators and teachers will stress the need to add educational value to the uniquely enjoyable experience of traveling far afield. Everyone’s interests are served by Canada. The heterogeneous culture, strong infrastructure, well-established security, vibrant cities and gorgeous landscapes invite students to enjoy a fully rounded journey. How many school trips can boast a visit to the thunderous awe of Niagara Falls? Straddling the border of Ontario and the United States, these three waterfalls eddy, surge, and thresh pouring with monumental force and fury down the 165-foot drop, forming the highest flow rate of any waterfall on Earth. Not only will students be thrilled by this spectacle, but there is also ample opportunity for them to learn geography and environmental science from an excursion to the falls. A true melting pot, the relatively modern city of Toronto is the capital of Ontario and the largest city in Canada. It offers students on school trips the chance to immerse themselves in true cultural diversity. From its rag-tag mix of architecture – featuring the dazzlingly tall CN Tower and the eclectic ethnic suburbs – to its diverse range of art and cuisine, Toronto will entice, entertain and educate students in the comprehensive impact of social multiculturalism. One of the major draw cards of Canada when it comes to school trips is that it is a genuinely multilingual nation, with its predominantly English-speaking regions distinct from those that are predominantly French-speaking. Students can move from English-speaking Ontario to French-speaking Montreal, the largest primarily French-speaking city in the world after Paris. The city is not just an education in the French language and culture, but is also a culturally unique homage to its special French background and a financial powerhouse in modern Canada. Amid the green parks and Edwardian neighborhoods of Toronto lies a unique lesson in music and theater. Any teachers who organize school trips to this city will discover the home of Canada’s Ballet, Theater, Symphony and Opera companies. Students of the arts will discover a veritable feast: from live performances of Shakespeare in the park and the Sony Center for Performing Arts to the opportunities to explore one of the hubs of Canada’s burgeoning film industry. Despite its image of being a relatively modern society, Canada is rich in history. Even if students do not speak French, they can appreciate the heritage of the pleasant city of Montreal. They can learn to appreciate its modern origins at the hands of French explorers and traders, and how it sat politically and socially with the English speaking regions. Moreover, students can appreciate the native Indian history of the Montreal region that belies the focus on Canadian history beginning with European colonization. AUTHOR: Destination Travels brings together a highly trained team of individuals with over two decades of experience in the travel industry. Visit the site and get all information about Canada Holiday Packages and several other international travel destinations. 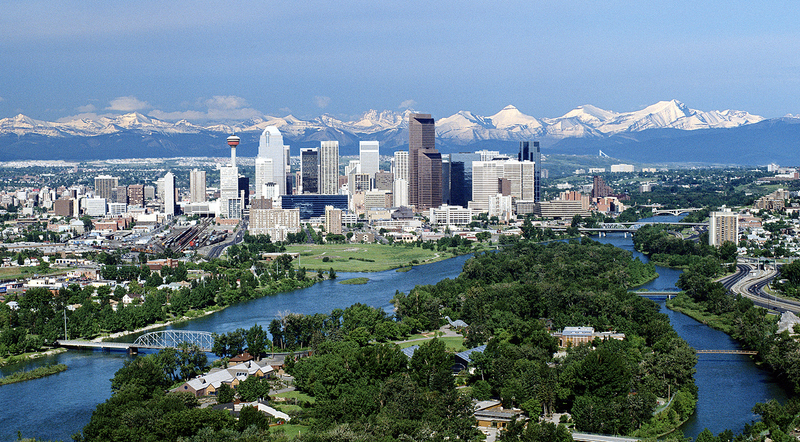 Apart from being neighbor to the United States, Canada is exclusively popular for rich natural beauty. This country is prosperous be it economically or technically, and offer lots of attractions to tourists. Moreover, this is also a land of festivals arrive here during the summers specifically between the June 21 to July 1. These 10 days are assigned for exclusive celebration. The celebration begins by observing ‘National Aboriginal Day’ and closes with Canada Day. Between the spell of 10 days lot of festivity take place. In fact, there is a party in every nook and corner of the country during these days. Well, if you are looking to explore the authentic Canadian music, and hit this country during spring, especially between the month of April and May. This is a time when Canadian music festival takes place. Visit the destinationtravels.in to find the most suitable travel package to explore this country in its length and breadth. A list Canada holiday packages offered by them includes, 1 Night Rocky Mountaineer, 4 Days Vancouver Experience, 5 Days Montreal & Quebec City Experience, 5 Days Canada covering Toronto & Niagara, 8 Days Mountain Rail, etc.